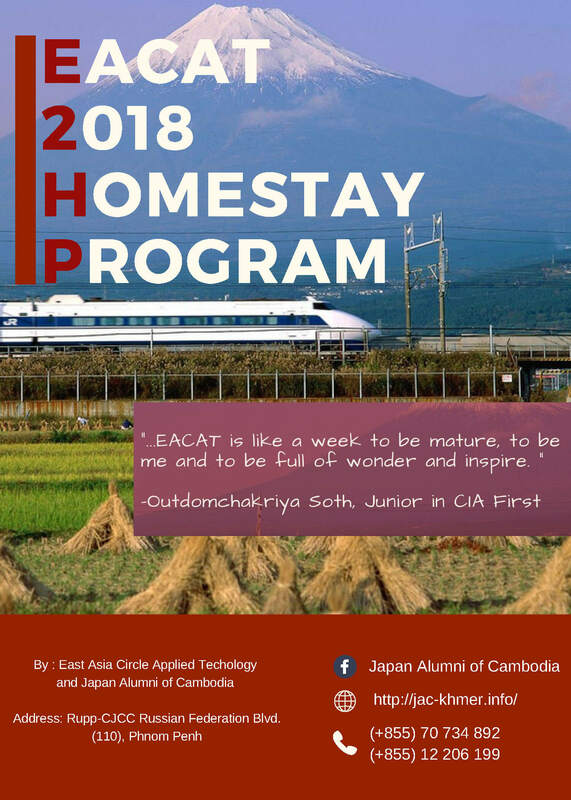 EACAT Japan Homestay Program aims at creating a network of future Cambodian young leaders who will become role models in their communities and make changes to Cambodia. 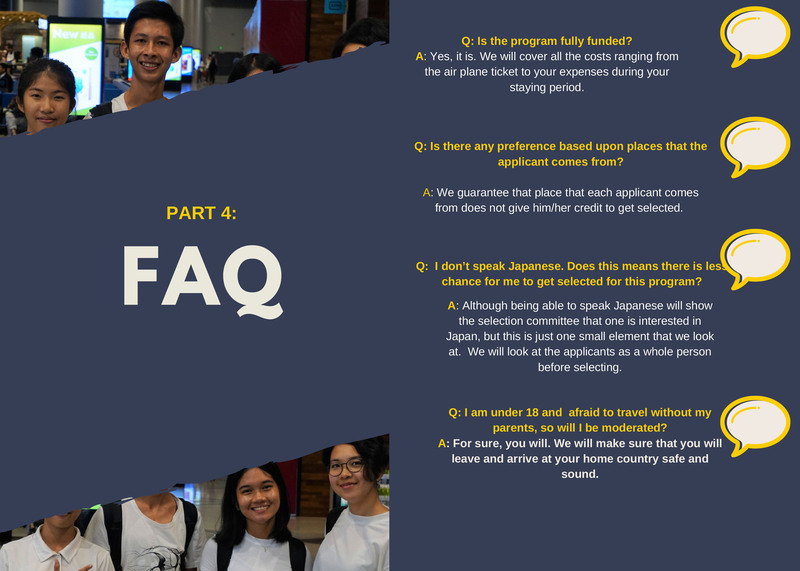 Successfully selected 4 (four) students from specified high schools in Cambodia will visit Tokyo, Japan for a week from October 9th until October 16th, 2018 to exchange and learn about education, culture and society in Japan and bring back what they learn to share with other students in their school or people in their communities. 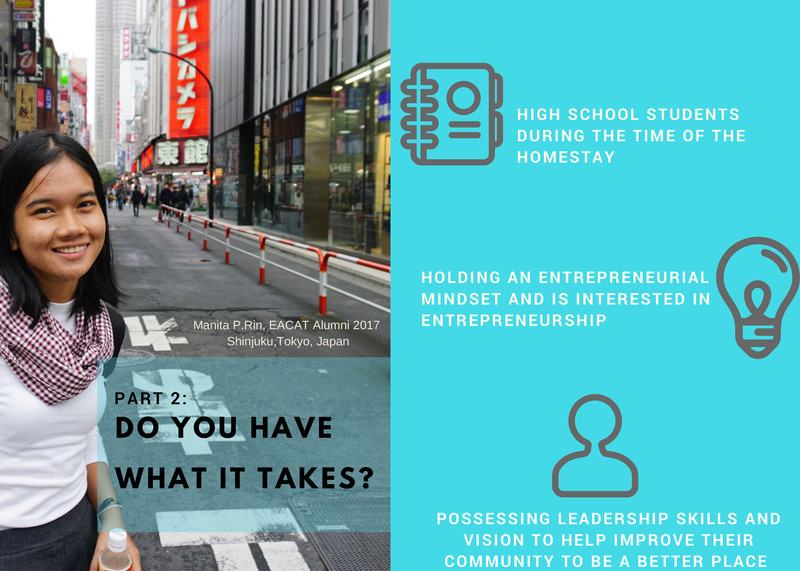 Applicants must submit an Essay along with an Entry Form by May 31th to the below email address. 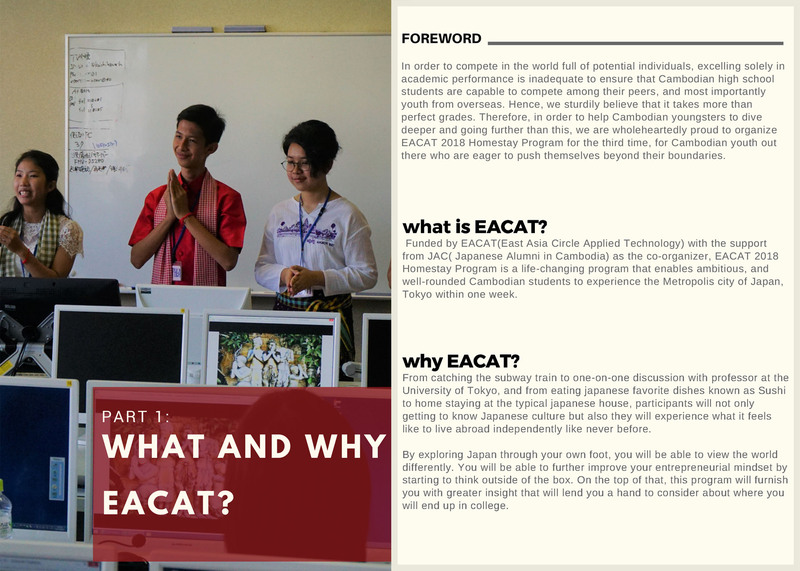 Then, the Japan Alumni of Cambodia (JAC) will select 10 (ten) students based on their essays for interviews. The date of interview will be informed later to the selected candidates only. Or send your handwriting application form to: Japan Alumni of Cambodia, CJCC Main Building 1st Floor, Russian Blvd. Khan Tuol Kork,Phnom Penh,Cambodia.